Organize my garage, are you kidding me? I would need a dumpster and a front-end loader! Ever feel that way? I have. The trick to getting through it is taking one manageable bite at a time — in terms of time and money! This is going to be Part 1 of…. Well I am not sure. Step 1 will cost you less than $70 in most cases. This will be a weekly series. 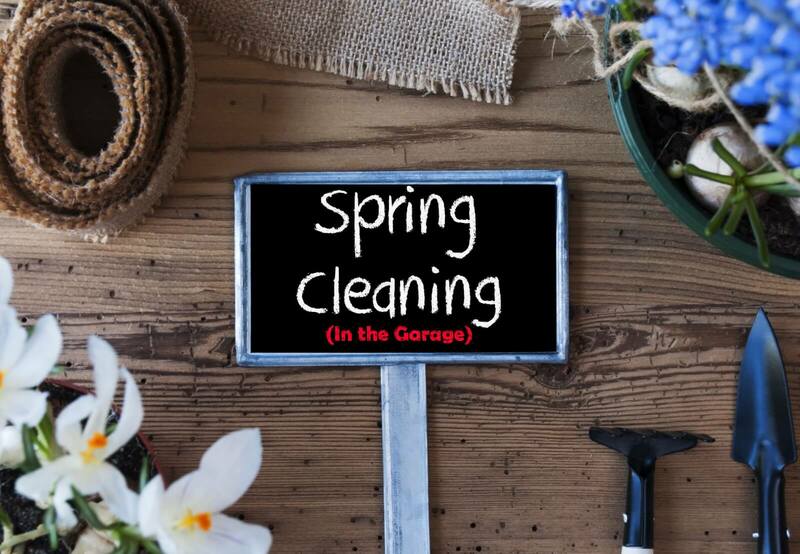 The goal here is if you follow some very simple, easy steps you can free up considerable space in your garage. The second goal here is to do it while spending as little money as possible. I like to start with Overhead storage. Its cheap and it gets the stuff I never use out of my way so I can take a good look at the stuff I do use and figure out where in the world I am going to put it. Grab a cup of coffee (if it’s the morning) or a beer if this is an evening project for you. Find 8-15 boxes (or in my case storage bins) of similar size that contain things you do not use on a regular basis –or at all. For us Christmas decorations is a good example. 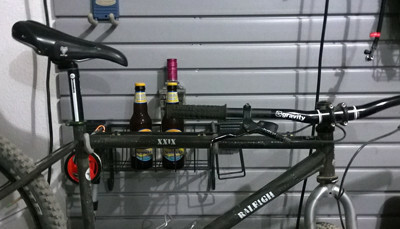 Now order an inexpensive overhead storage rack. There are models that costs hundreds, but in most cases the sub $70 model will do just fine. Take the 15 minutes it requires to install it and put as many of those boxes up as you can. 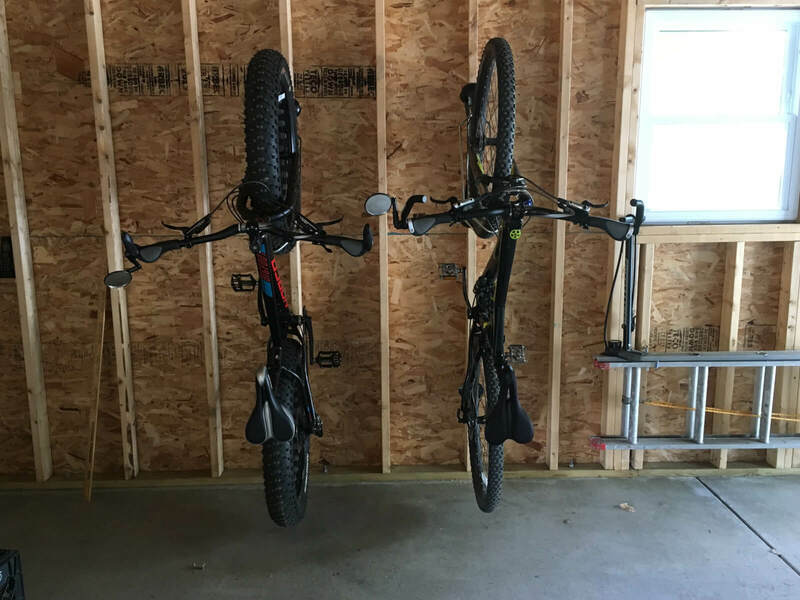 Make sure you use as much of the height as possible and stack things so they won’t fall off. Now have a look at the floor space you created. If you can. 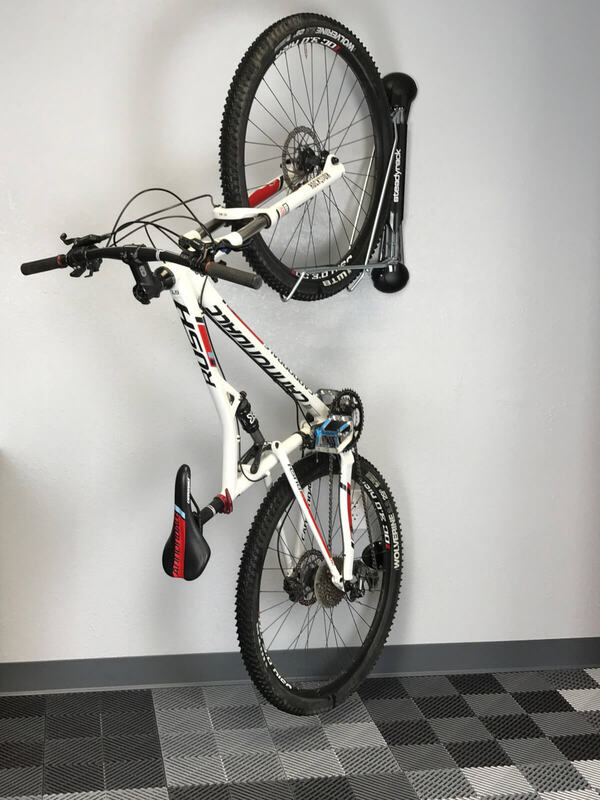 Consider adding one more rack and putting more of your unusable stuff up and out-of-the-way!